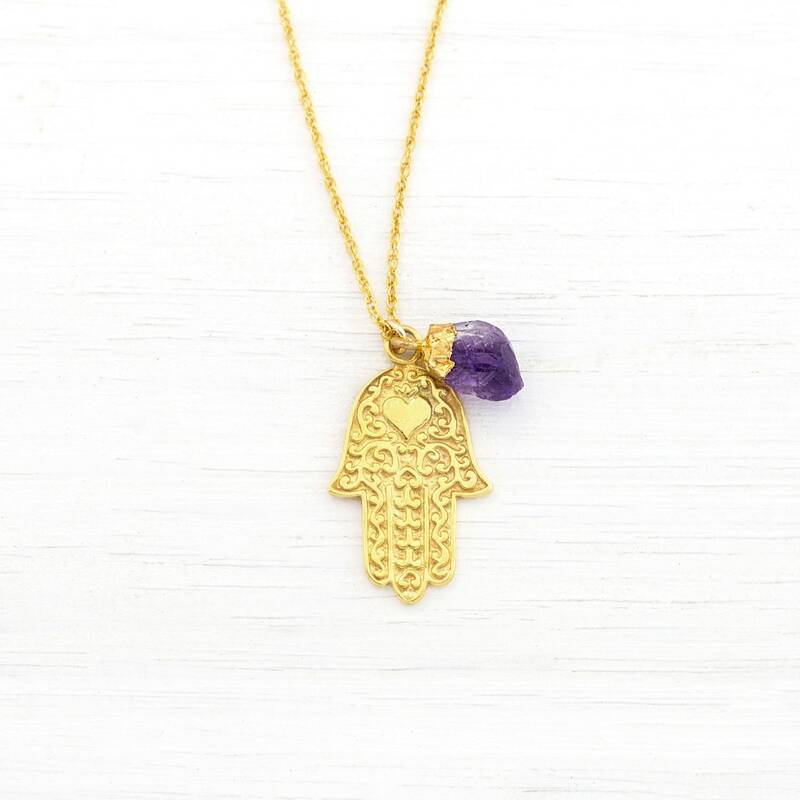 This necklace features an ornate Hamsa Hand pendant with a genuine raw gemstone charm attached. 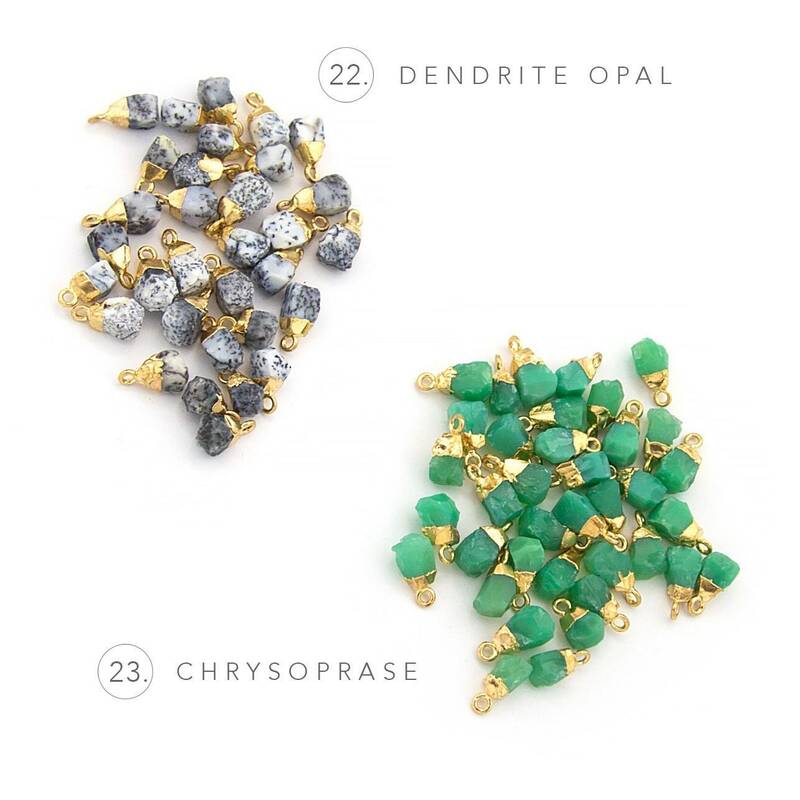 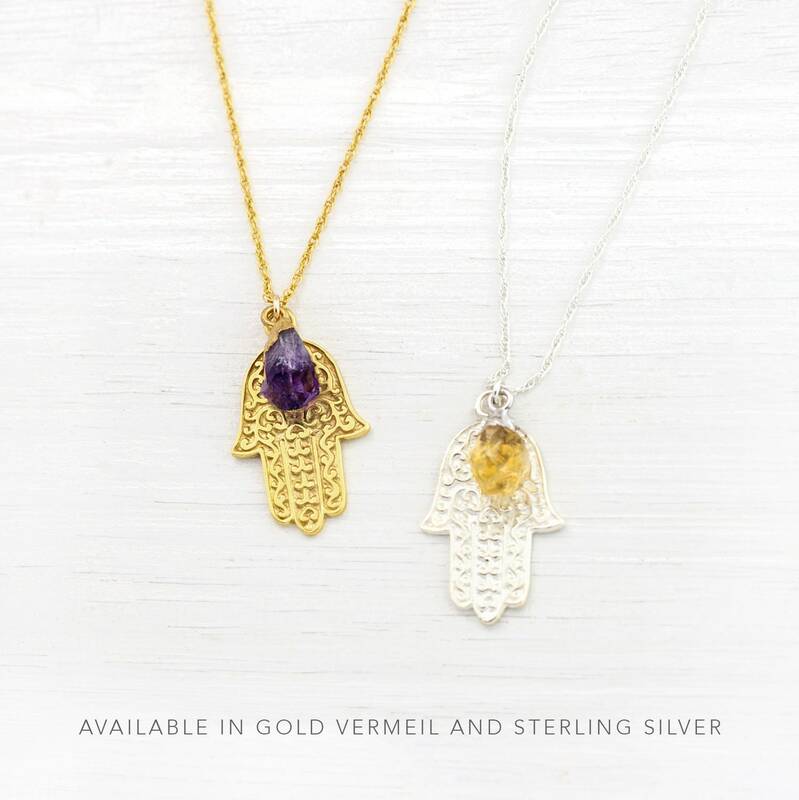 Available in Gold Vermeil and Sterling Silver and in 22 different stone options! 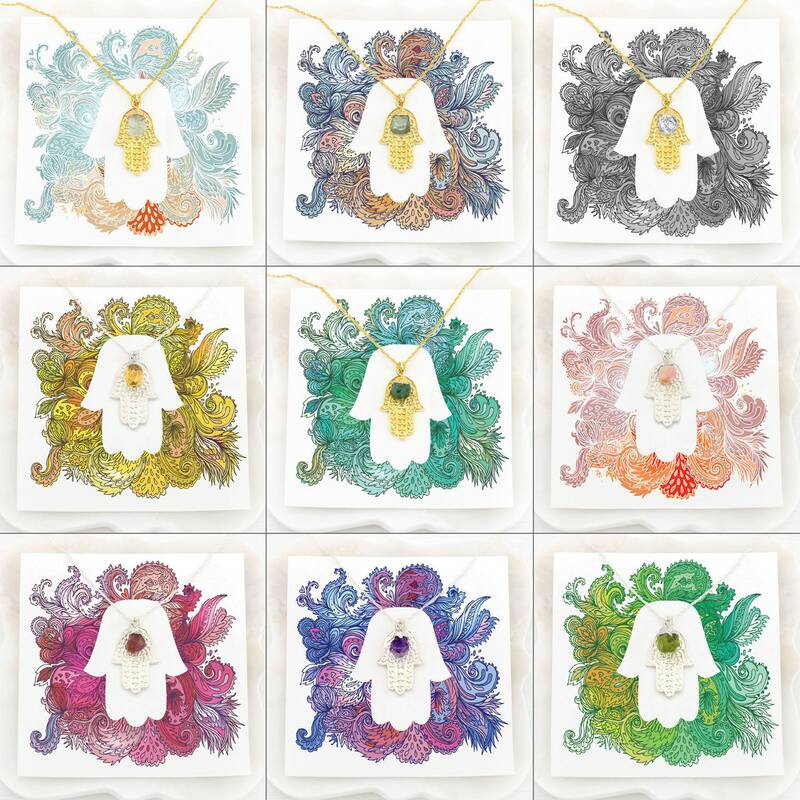 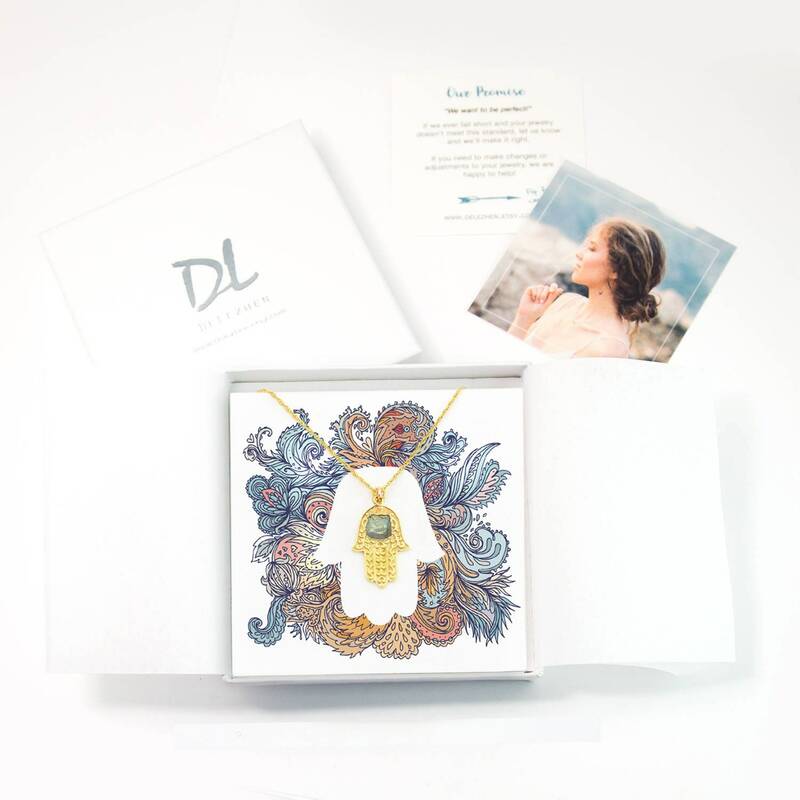 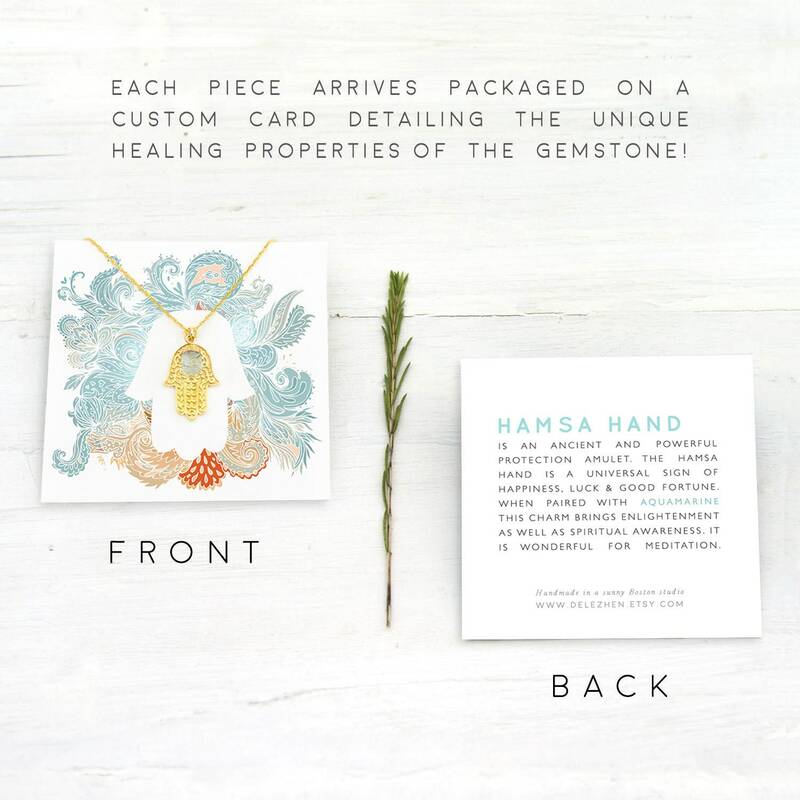 Each gemstone’s unique healing properties are featured on a matching card to represent the positive energy the stones in combination with the Hamsa Hand will bring to the wearer. 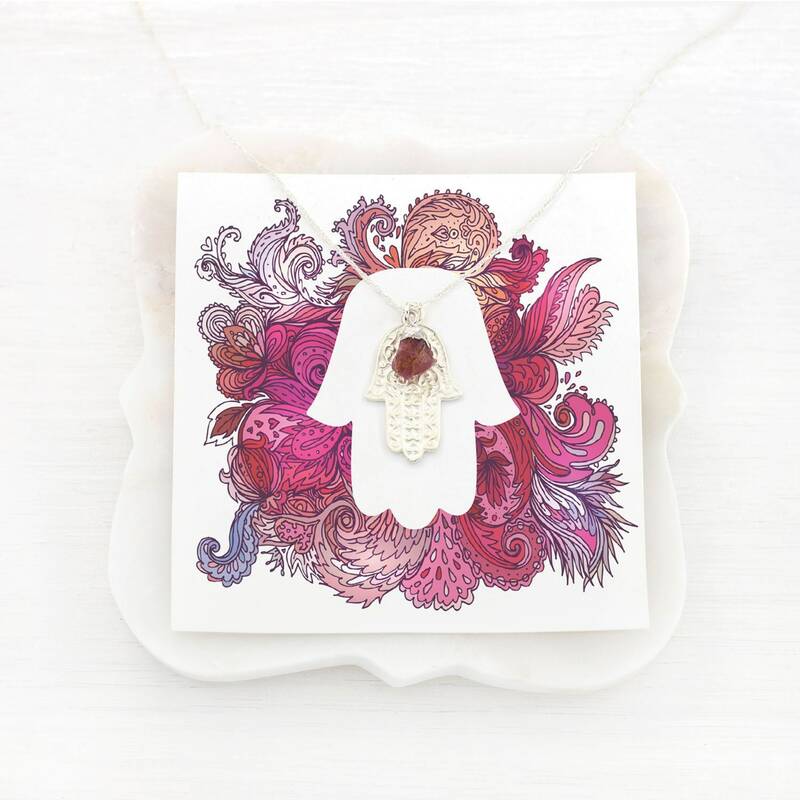 These necklaces are made to be gifted! 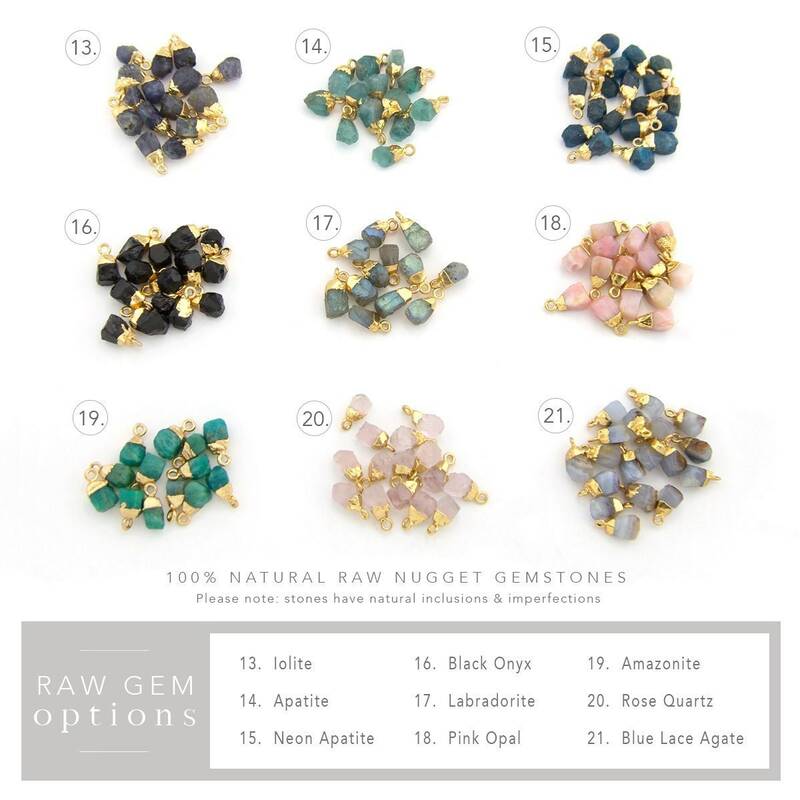 Please note: Because we use natural stones, the stones vary in shape, shade and size. 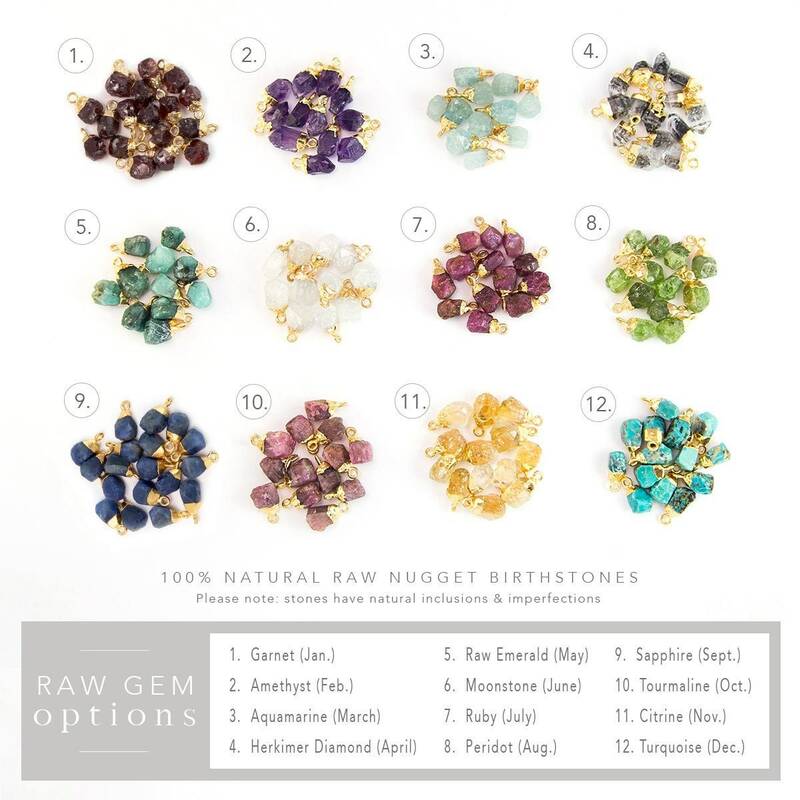 They may also contain natural inclusions.